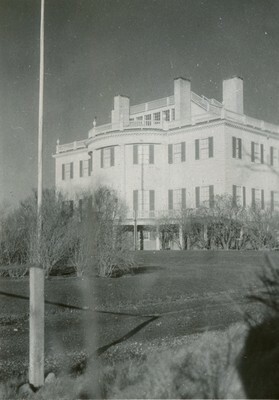 A scanned black and white photograph shows a historic white building. The building is large with shutters and a balcony along the roof. A written caption "'Montpelier', - estate of Gen. Henry Knox 1793 rest." is written to the right of the photograph.